When my Silhouette Machine was first delivered to my house, I was so excited about it. I quickly tore open the box, pulled it out, and just sat there admiring the thing for the longest time. I dreamed of all the crafts I could dream up now that I had a Silhouette of my very own, but when the time came to actually make something I froze. I was completely intimidated. Just as I’m sure you are completely intimidated by your Silhouette machine! My machine sat untouched for about a month before I attempted a project with it, and I was nervous and unsure of myself the entire time I was designing and making the craft. Once it was over I breathed a huge sigh of relief and then didn’t touch my machine again for another couple of months. It was a very vicious cycle and it took me a while to get comfortable using my Silhouette and the design software. From what I’ve heard from friends with their machines, this fear of crafting failures is a real and legitimate thing! I wasn’t the only one suffering from it and neither are you! So here are five reasons you’re intimidated by your silhouette machine, and tips for getting over it! There’s so much you can do with it, you don’t know where to start! Honestly guys, this machine can do so much! It really is amazing. From vinyl, to fabric, to paper, and more, you could spend weeks looking up things to do with your machine and not even scratch the surface of what it can do. And when I started thinking of all the possibilities, my anxiety kicked in and I felt so overwhelmed that I had to just walk away from the machine altogether. So don’t be like me! Pick one medium and go from there. I would suggest starting with paper since it’s inexpensive and it’s easy to cut! You got trapped in the designer studio black hole. When I first registered my software and opened up Design Studio I didn’t know where to go or what to do. There were so many different designs and while most of them you can use for multiple mediums, you need to make sure you buy the right thing for the project you’re doing! And of course, I didn’t know that when I first started and I bought a few files that didn’t work with the projects I had in mind! For the first few projects pick something simple to cut that’s nice and big with little to no small pieces. Anything intricate can be saved for later, once you get the hang of cutting and weeding everything. So many types of vinyl….which one do you choose? Permanent vinyl and Oracle 651 are the same thing. 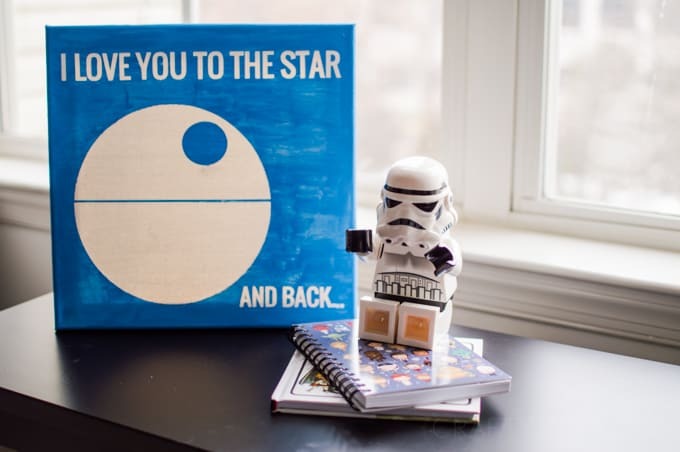 This type of vinyl is what you use on canvases, glass blocks, coffee mugs, and so much more! Basically, anything that you want to permanently stick to whatever surface you’re placing the vinyl on. 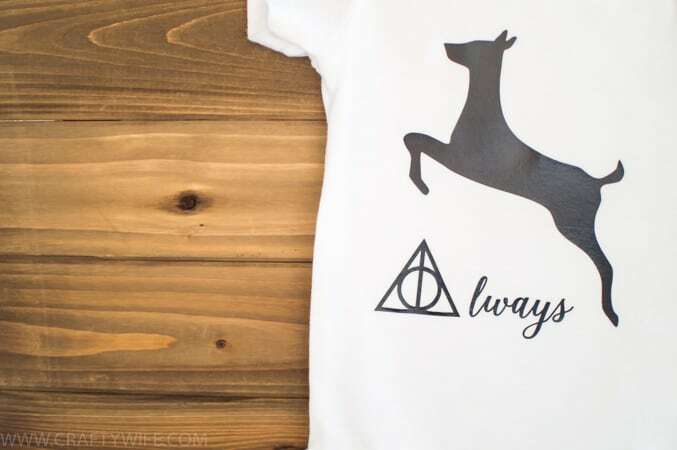 Heat Transfer vinyl is what is used on onesies, blankets, or any other type of fabric. You can use it on canvases too (like I did here)! Silhouette and Cricut brand vinyl are low quality and are really hard to use! I used it for this Disney baby project and it was a nightmare. It’s very hard to weed and likes to tear easily. Just don’t use it. Trust me. The blade isn’t cutting anymore, what do you do? Take your blade out of the machine, turn it over and look to see if there are any pieces of paper, vinyl, or fabric stuck in it. If there are, clean it out and then continue to use it! Sometimes fragments of material get stuck and the blade won’t cut correctly until they’re removed. Make sure the white cap is not cracked or completely off of the tip of the blade. The cap protects the blade, so if it’s cracked or missing you should buy a brand new blade. Check to see if your cut settings are correct on your blade! If your project calls for a blade setting of two and it’s not cutting correctly, try bumping it up to three and see what happens! You can also select double cut in your design software to see if that solves the problem. You have no idea what “weeding” is, but everyone talks about it. One thing I will suggest to anyone who owns a Silhouette machine is to join a group on Facebook for it! I’m a part of a few (a Harry Potter, a Disney, & a general one) and there was a certain learning curve when it came to the Silhouette lingo. While there are a ton of terms I could tell you about, I’m going to focus on one: weeding. Weeding is when you remove the excess material, until you are left with only your design. No matter what design you’re doing, you will have to weed to some extent. Some projects, like my Star Wars Valentine have very little to weed while others, like my Buddy the Elf art, are weeding nightmares (okay, it wasn’t necessarily a nightmare but it was a lot of weeding!). If you’re just starting out I highly suggest doing something simple just until you get the hang of it! Don’t overcomplicate things and then stress yourself out! And there you have it. 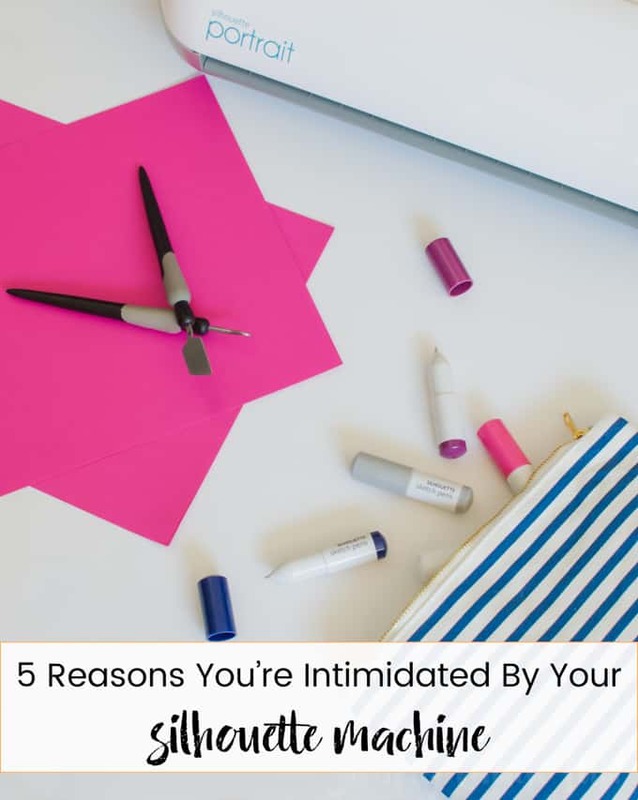 Those are the five reasons I think you’re intimidated by your Silhouette, and I say that because all those things freaked me out when I first started! Just like with anything else, there is a learning curve when it comes to this machine and you will get the hang of it the more you practice! What is one thing that you were intimidated by when it came to your Silhouette machine?